Encephalartos kisambo grows in southern Kenya, in open evergreen cloud forests on steep mountain slopes. The Kisambo Cycad gets its name from the local Taita language. Encephalartos kisabo is a tall-growing cycad which can reach from 3 to 14 ft. trunk height, and can grow multiple stems. Its dramatically erect leaves can grow to 12+ feet long, making it one of the most spectacular cycad species. 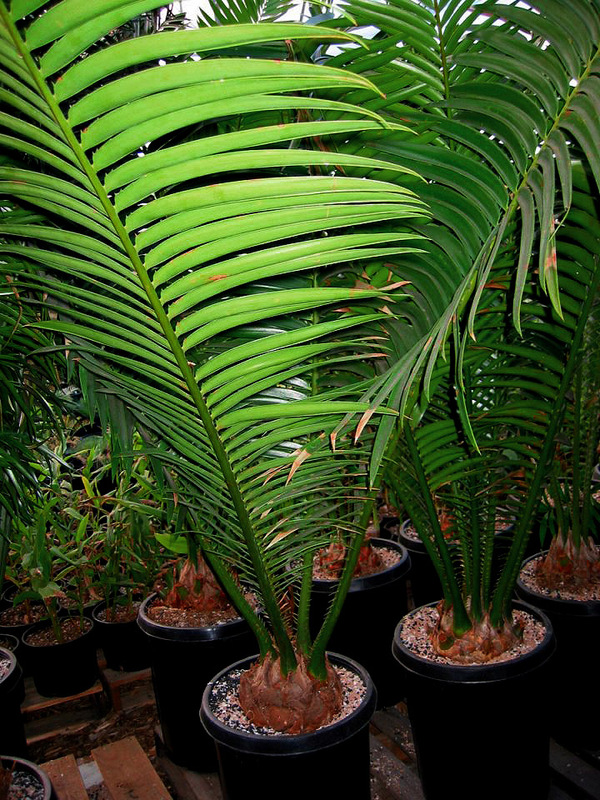 The Kisambo Cycad is an easy to grow plant, which prefers light shade. It develops a long tap-root, so for the plant's long-term growth it is best to plant it in the ground. It prefers to avoid a hard frost.